There are so many aweful thoughts that run through our mind after the loss of a child in the womb. There is no way around it and it may take several months for you to realize that these negative thoughts are not true. 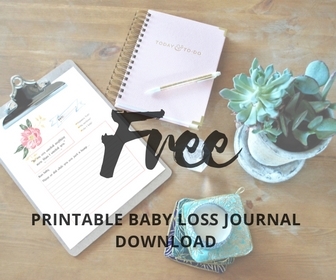 Here are the top lies we told ourselves after our baby was stillborn and how to overcome these negative thoughts. 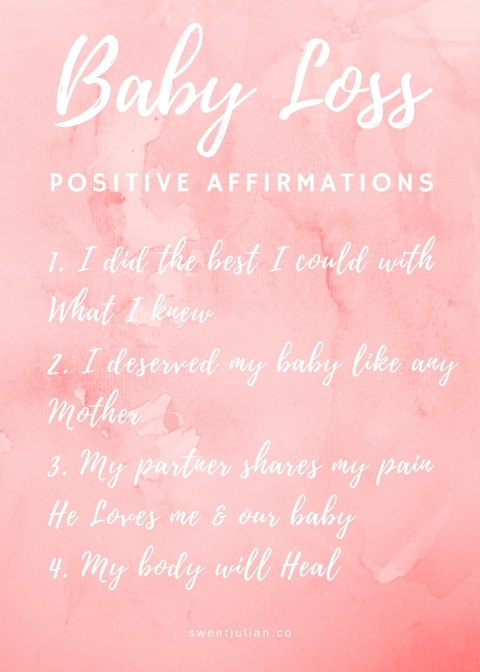 Scroll all the way to the end for a free printable of positive affirmations to practice instead. This was probably the worst lie I told myself. I still struggle with this actually and have not entirely overcome this thought. Somewhere deep down, I blamed myself for not knowing that my baby was not well inside my womb. It doesn't help that I dremt my baby the night before he passed away and I could barely fall back asleep that night (won't go into details). The truth is that I didn't have a clue! I am not a fortune teller or a dream interpreter, and being a positive thinker I only did the best I could. Stillbirth has touched the lives of even the most knowledgable and talented mothers like nurses and Obgyns. We can't anticipate what we don't know. Sounds awefully horrible that anyone would think that, but trust me it's possible. There is a deep need to try to place blame on anything after a baby is stillborn and usually it's ourselves who we blame first. Maybe you found some flaw about yourself and decided that this flaw is the reason why baby is not here today. I'm here to tell you that no matter what you have done in your past, your baby is innocent and deserved to be born independent of what you have or haven't done. Babies are not born to "gold star citizens" only and you deserved that baby like any other. It's no secret that some ridiculous number of couples end up divorcing after baby loss. Baby loss is hands down the hardest event our marriage has had to cope with and it easily could have broke it. Men grieve differently than women and not all men grieve the same. However, it's so important to give our partners the benefit of the doubt. It's true that they will never be able to understand what it's like to carry a baby in the womb for months to then have to say good-bye in the most traumatic birth experience ever. But please remember that they carried a baby in their heart & mind. In the end, I knew my husband would be the only person on Earth who would most closely know and share my pain as well as our love for baby. Forget body positivity! Loving our bodies after stillbirth is incredibly difficult. It could take many months before a mother can truly trust her body again and think positively about it. It's not a looks based body image problem that we have. Usually it is a mental distrust of our body's capability to create life and keep it safe. When you don't feel your body is safe, it is very hard to move forward and feel positive about the future. The truth is that our body has suffered trauma along with us. 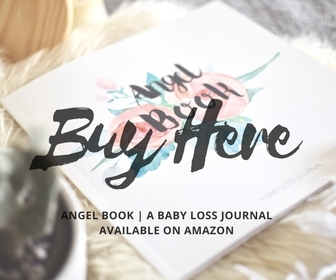 Body and mind are one and both need healing after stillbirth.